Are you relocating for a new job, a military assignment, going to college or a retirement dream in the continental United States? Sherpa can get your car where it needs to be safely and on time. No matter where you’re coming from or where you’re going, we are here for you. We move everything from rare, collectible autos to family cars to inoperable vehicles with the ultimate care. Call our experts at 877-850-1231 to get your free, no-obligation quote, or fill out our online quote request form. No matter where your car is coming from, where it is headed or its condition, Sherpa is here to help. Call our experts at 877-850-1231 to get your free, no-obligation quote today or fill out our online quote request. A move is a life-changing event. Whether you’re relocating across the country or just crossing the nearest state line, the planning, packing, and logistics can seem endless. One of the biggest challenges during a move is getting your personal vehicle – or vehicles – to your new home. That’s where Sherpa can help lighten your load. We will pick up your personal auto at your current home, transport it carefully and quickly, and have it ready and waiting when you arrive at your new front door. Skip the time-consuming cross-country drive. Don’t get tangled up in traffic or stuck in a snowstorm. Avoid road-trip expenses – hotels, restaurants and fuel, not to mention depreciating the value of your vehicle. Let Sherpa lighten your load as you make your way to the second city you call home or back. From the Great Lakes to Florida, or New England to Phoenix, we’ll move your vehicle so you can relax and enjoy the life you’ve earned. Our professional drivers will transport your personal car safely and quickly, freeing you up to take an easy flight or a scenic train trip to your destination. Online sales are the future of the auto industry. And Sherpa is the partner of choice for the largest online auto buyers and sellers. Why? Because we offer easy scheduling, quick turnaround times, clear communication and the best customer satisfaction record in the business. We offer a fast delivery and a customer-centric experience, whether we are delivering one vehicle or many. We make it easy for you to focus on what matters: your vehicle sale or newest purchase. When campus and home are thousands of miles apart, or you’ve taken an internship in a distant city, what should you do with your car during long school breaks? Entrust it to Sherpa. 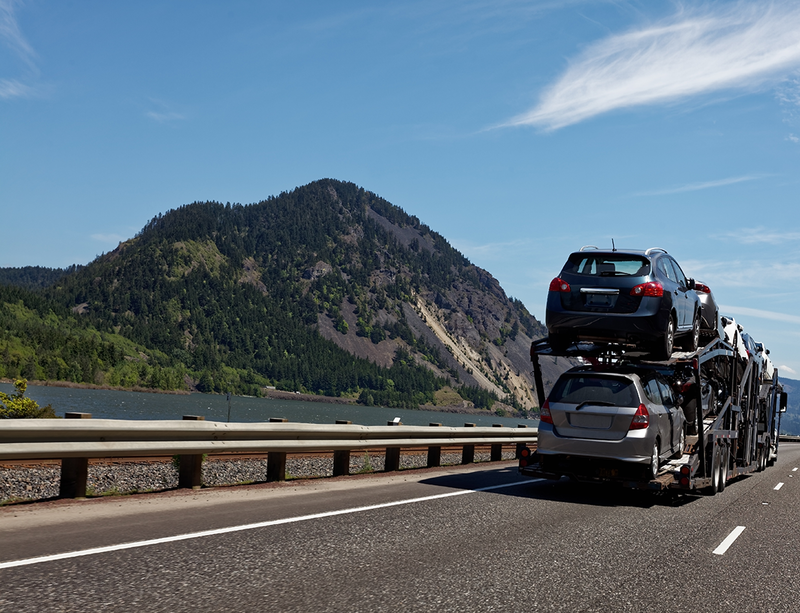 Our affordable car transport service will get your vehicle where you need it, when you need it, without unnecessary wear and tear. This might be the easiest multiple choice question you’ll see all week. Our military men and women make many sacrifices, including the willingness to uproot lives and families when duty calls. Whether your PCS orders were expected or unexpected, and whether you have months or weeks to relocate, we are here for you. Sherpa offers rapid, no-hassle car shipping at a discount for active-duty military personnel. We’ll handle your car with white glove care and get it to your new home without a scratch so you can focus on the rest of your to-do list. Working with our carefully chosen drivers we can assist you in helping your employees get their vehicle to their intended destination safely. Online car sales are increasing. Sherpa can help you serve distant customers by transporting your new and pre-owned cars to their destinations with ultimate care. We also handle auto trades between dealers, deliveries to dealers from auctions, and much more. Call 877-850-1231 today to speak to one of our experts about our solutions for car dealerships. Millions of autos are sold at dealer auctions every year in the U.S., and Sherpa’s professional auto transporters are proud to serve buyers at the nation’s largest auctions. We can help get your purchase to its destination, whether you are buying one vehicle or dozens. Call the experts at Sherpa at 877-850-1231 for more details about our auto transport services for auto auction buyers. Our customer-focused professionals offer a hassle-free auto transport experience to everyone, including people who are relocating, college students, military families, snowbirds, professional athletes, automobile collectors, online car buyers and many others. Whether your needs are simple or complex, our car shipping experts are ready to help.